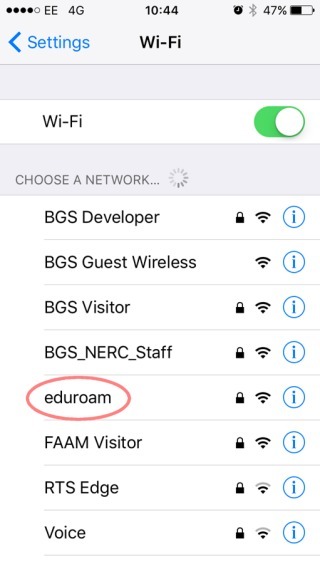 The preferred method for configuring your device is to use the eduroam CAT (Configuration Assistant Tool) - this tool will automatically set your device up to use the eduroam network. To do this, go to the Eduroam CAT page and follow the instructions according to your device, rather than using the guidance below. Only perform a manual setup if you experience problems with the automatic setup! 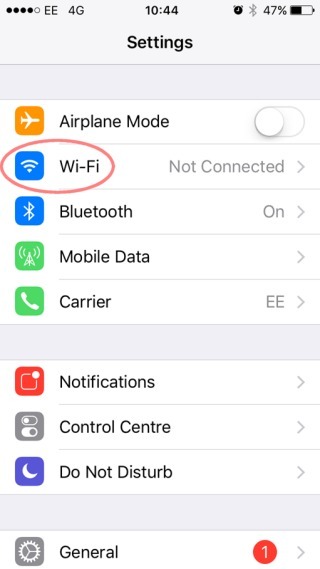 This page describes the steps required to configure your iOS device to connect to the eduroam wireless network. 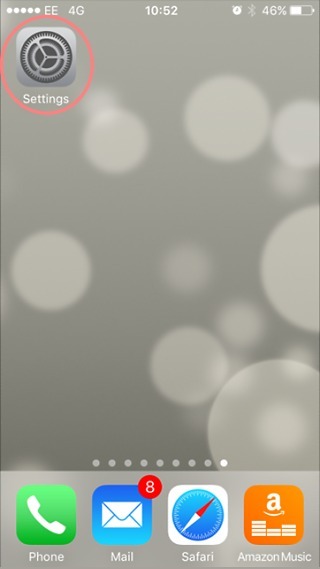 From the Home screen tap the Settings icon. From the Settings menu tap Wi-Fi. Under the "Choose a Network..." heading tap the eduroam wireless network. In the Username field enter your NERC Office 365 logon username. Note: For most users, this is your email address. However, if your email address contains your real name (e.g. 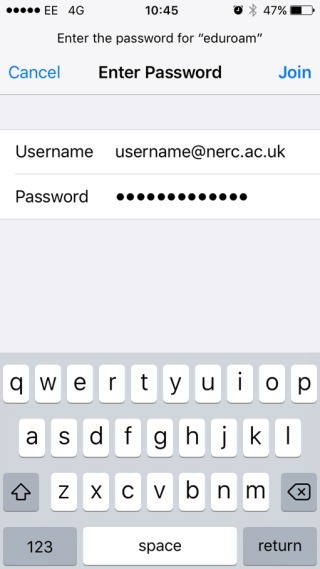 barry.smith@nerc.ac.uk) it will not work, it has to be your username before the '@'. Please contact your local IT team if you have any questions. You should enter you NERC Office 365 logon password in the Password field and then tap the Join button. At the next screen you should be prompted to accept the NERC root certificate. 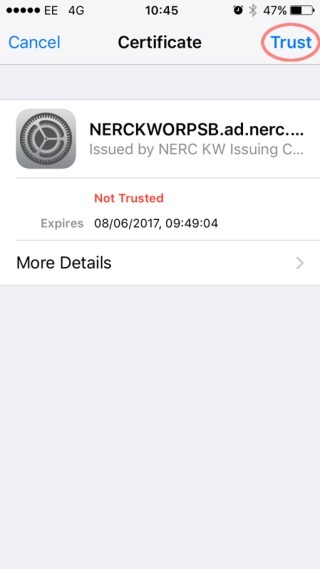 Ensure that it states "NERC" and tap the Trust button. 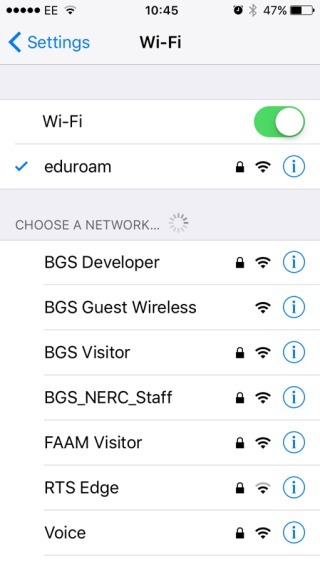 If the configuration was successful, then after a few moments your device should show as connected to the eduroam network.